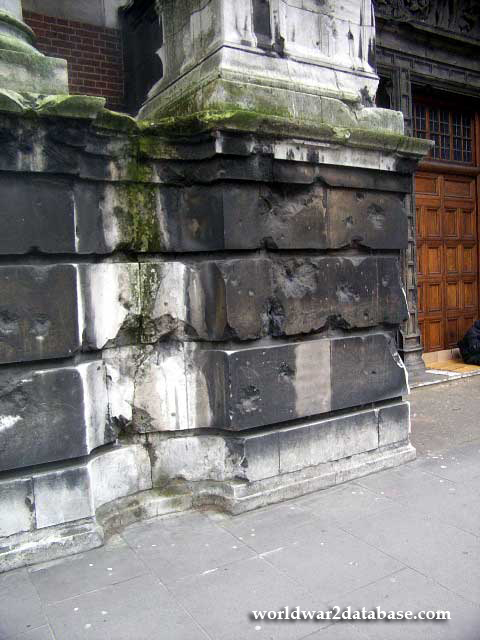 Damage to the Aston Webb Facade at the Victoria and Albert Museum. A double bomb explosion shattered Exhibition Road and closed the Museum for several days. The windows were all knocked out; even iron grilles were displaced. The Victoria and Albert lost many glass tiles off its roof and the Museum was exposed to the elements for several days.